Power of REST APIs & platform independence of Ruby to Create, Edit or Convert Word documents. Get a quick and reliable conversion of Word documents to other leading file formats including PDF where output conforms to PDF 1.5 or PDF/A-1b specifications. Get an ability to extract Word document contents or save file contents as a plain text file. Be amazed at great fidelity of output when performing Word to EPUB conversion because the Content, formatting, images, hyperlinks, and navigation will work in any EPUB compliant reader. 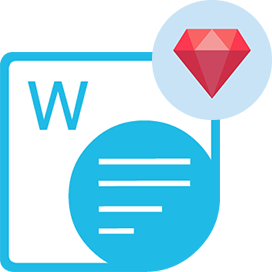 Aspose.Words Cloud SDK for Ruby is also capable of converting individual document page to raster images or vector images, withthea highest degree of precision. Last but not the least, get same high-fidelity page layout of rendering engine to produce output in fixed-layout format when dealing with Word to XPS conversion. Such a high degree of precision while ensuring accuracy and highest quality of rendering with an efficient conversion, and all being performed with simple methods. 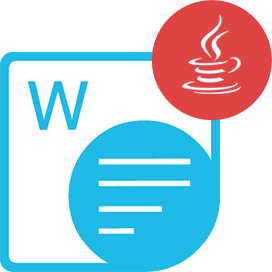 During conversion, Aspose.Words Cloud SDK for Ruby ensures that the converted documents are produced according to the target file's standards and specifications so that the resultant file can easily be loaded within the native tools. Aspose.PDF Cloud SDK for Ruby - some of the supported platforms. Aspose.Words Cloud SDK for Ruby - supports the popular word processing formats as well as most commonly used image file formats that your business requires. 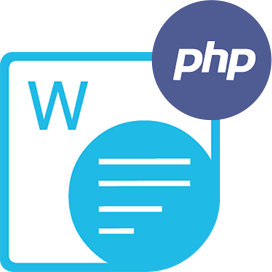 An extensive support for various popular Word Document formats including DOC, DOCX, RTF, DOT, DOTX, DOTM, FlatOPC (XML), OOXML, OpenDocument 1.1 format, OTT and Word 2003 XML. Specifically, the RTF specification is a set of predefined keywords which includes over 1400 keywords in the RTF 1.8 Specification and Aspose.Words Cloud SDK for Ruby is capable of fully supporting (reading) the majority of these keywords. Aspose.Words Cloud SDK for Ruby allows developers to use standard or more complex mail merge operations such as inserting images or repeatable regions in reports. You can design reports in Microsoft Word and then allow Aspose.Words Cloud SDK for Ruby to populate documents with data from XML data sources. Aspose.Words Cloud SDK for Ruby allows developers to secure and protect the Word documents. A simple code snippet enables you to protect a Word document on the Aspose Cloud Storage. The SDK is built on top of REST API which is completely independent of your operating system, database system or development language. Howeve,r we have provided this SDK, in order to make it even easier to integrate in Ruby language. So you can use it to encrypt and protect your input documents. Aspose.Words Cloud SDK for Ruby supports Text and document classification into Interactive Advertising Bureau (IAB) taxonomy categories. Document classification is often used in various business processes to automate the flow of documents through the organization. Document classification supports classifying the documents stored in Aspose Cloud Storage or any of the supported storages. You can use this feature with all supported MS Word document formats, including PDF which will be implicitly converted to Word format. When working with Text classification, it is a lightweight version of classification that processes text snippet. You do not need to store the snippet on any storage, instead, it is supplied inthe request body. 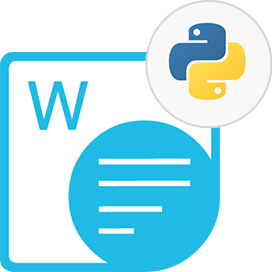 Aspose.Words Cloud SDK for Ruby allows developers to read table information from a Word Document, or even delete the table from Word document. Aspose.Words Cloud SDK for Ruby provides the feature to add as well as remove any existing watermark from Word document. It also provides the feature to add Watermark Text inside the Word document. In order to add a watermark image, you need to upload the image to Cloud storage and then reference the same image during the watermarking process. The feature to delete watermark is also as simple as addition and all you need to do is call a simple method to remove the watermarks from the document. Aspose.Words Cloud SDK for Ruby can be used with any language or platform which supports HTTP requests and responses. Therefore you can also use Aspose.Words Cloud SDK for Ruby with many third party storage providers including Amazon S3, Google Cloud, Google Drive and DropBox. Why Aspose.Words Cloud SDK for Ruby ?